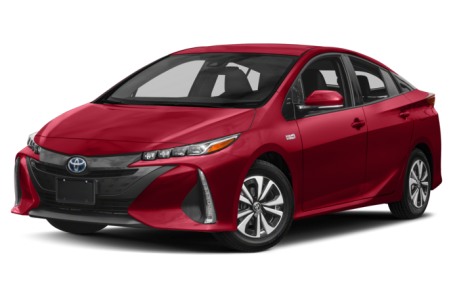 The 2018 Toyota Prius Prime is the plug-in hybrid version of the regular Prius hatchback. The Prius Prime is driven by an 8.8-kilowatt-hour battery pack for the electric motor combined with a 1.8-liter four-cylinder gas engine, both of which channel their energy through a continuously variable automatic transmission. Toyota says the battery can be recharged from empty on a standard 120-volt household outlet in 5.5 hours. On a 240-volt outlet, charging takes less than half that time. It has an EPA-estimated 25-mile pure electric driving range and a 640-mile total driving range.